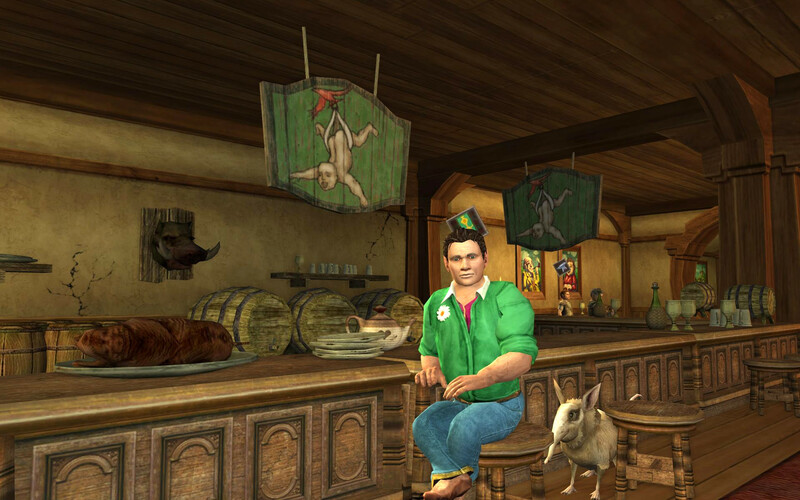 LOTRO Shire Brewmaster Deed Guide & Map - Any Excuse for a Pub-Crawl! 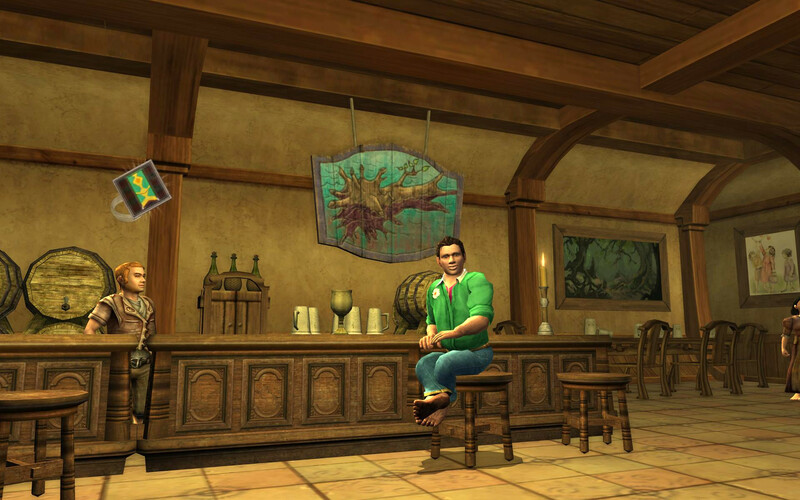 LOTRO Shire Brewmaster Deed Guide and Map – Any Excuse for a Pub-Crawl! The Four Farthings Brewing-Moot is taking place and all the key contenders have a problem with their best ales. Problems you, of course, can solve! 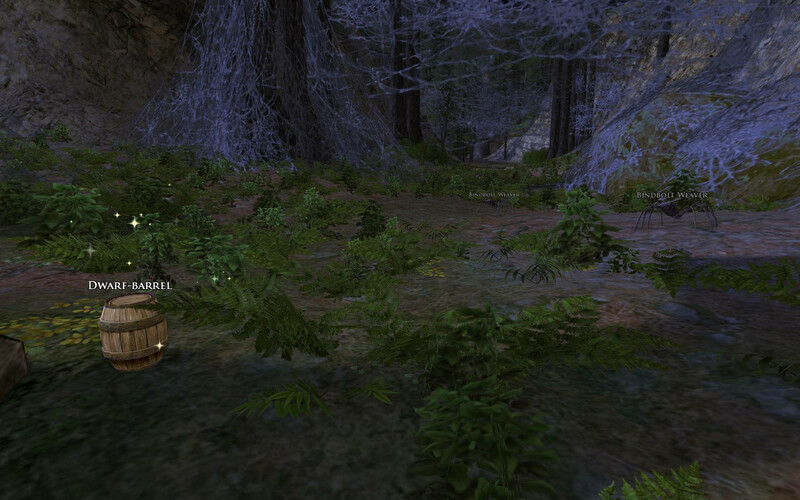 Thus a “hidden” deed is born: LOTRO Shire Brewmaster Deed. This deed does not appear in your Deed Log until you complete it! 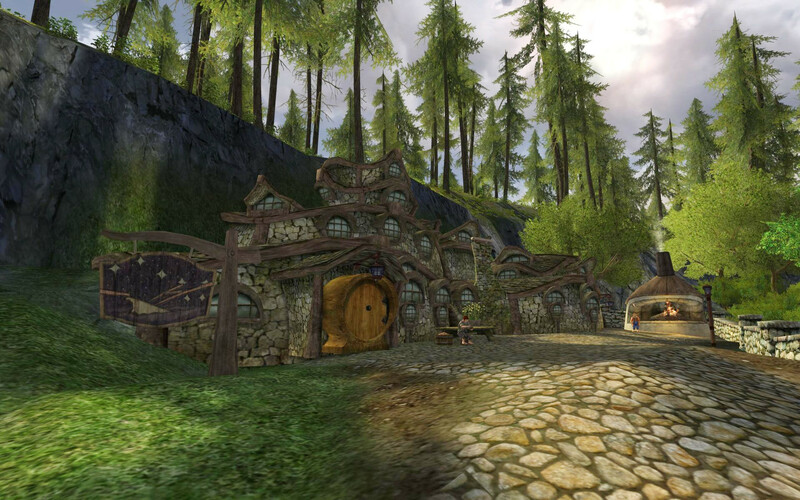 You will need to visit various Inns across the Shire and help them out so they can all enter the Moot with confidence that they will be crowned victor! 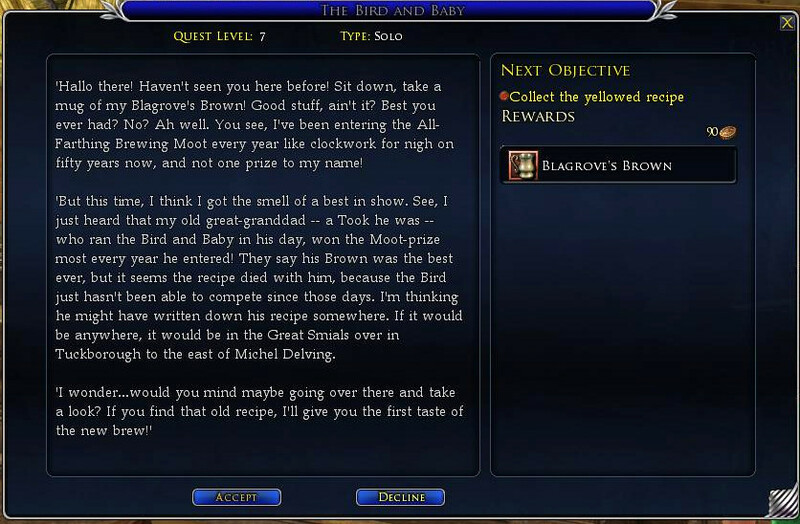 This quest is a great little gem by LotRO and the only combat you’ll have is if you are at-level and have to fight for the missing ingredients! So let’s get those ales sorted! 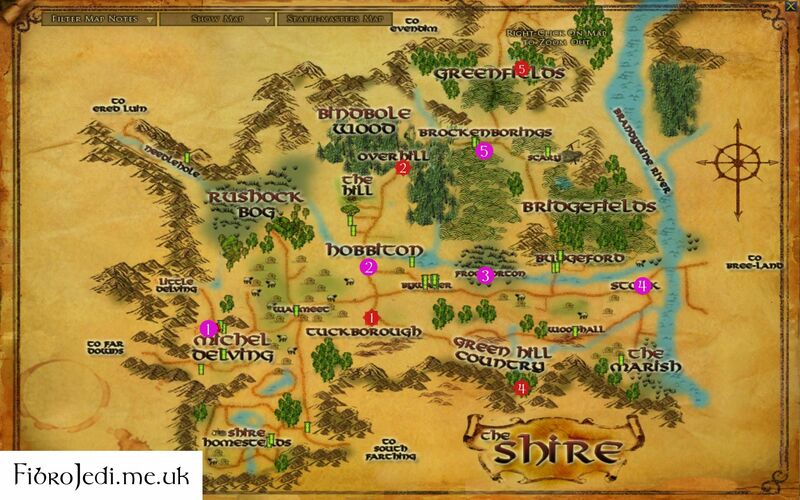 Alongside this guide to this Shire Deed, you can use this map to help you. It’s about as simple as they get! Circled Numbers: are the actual Inns you need to visit, see below! Starred Numbers: are roughly where the Inn-keepers send you. 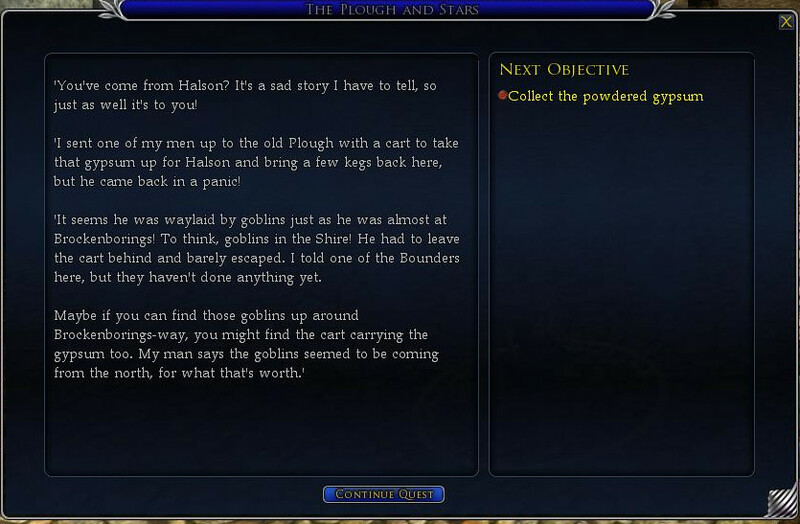 Number 3 does not have a star because the objectives are right near the Inn. The barman at The Bird and Baby Inn in Michel Delving is convinced he can win the competition by reviving an ale receipe used by his great-grandfather. Only he doesn’t have the recipe (that would be too easy!). 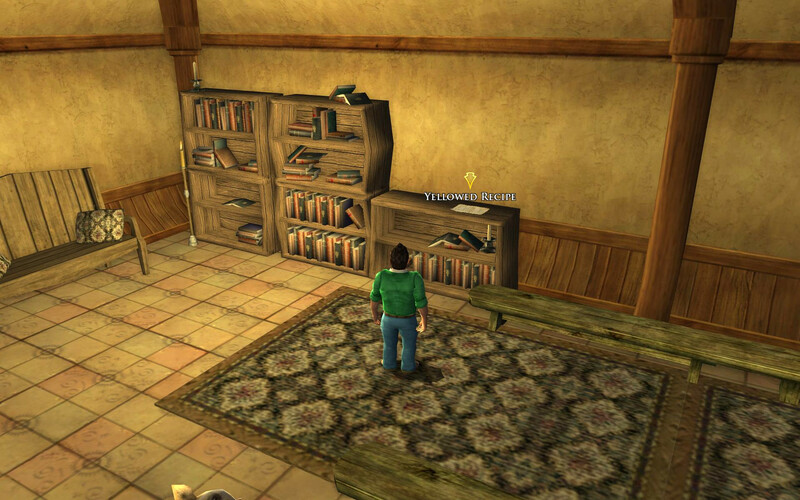 So he “asks” you to go to the Great Smials in Tuckborough and retrieve the Yellowed Recipe from the Library room. 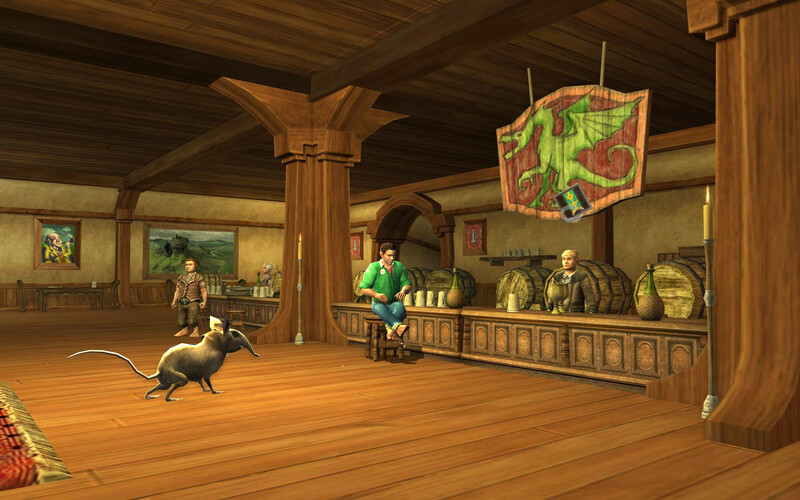 The Hobbit at The Green Dragon requires you fetch a special barrel used by Dwarves for maturing brandy. Thankfully you don’t need to hoof it (literally) to Ered Luin! There is a contact in Overhill who can help out. 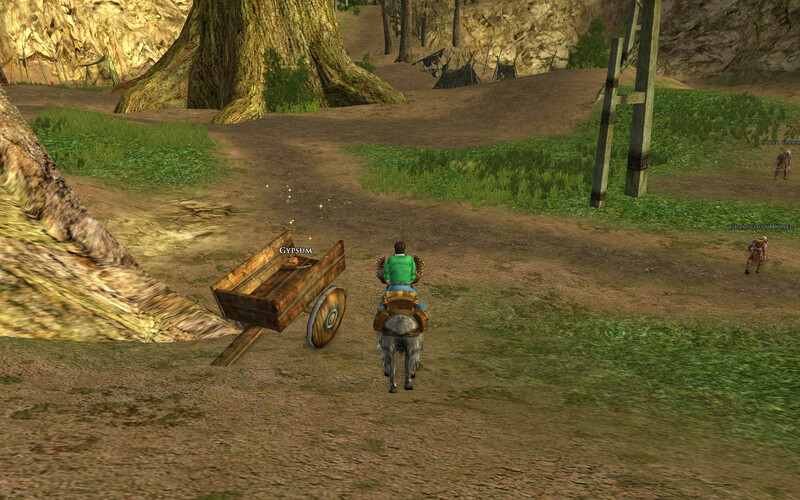 If you haven’t done the Hobbiton to Overhill Quick Post route yet, be efficient and kill two Crabain with one stone. Once at Overhill you’ll need to head further North to Bindbole Wood. This is one of the prime places to Slay Many Spiders, by the way. At the entrance to the Spider’s webs is the gleaming Dwarf Barrel. 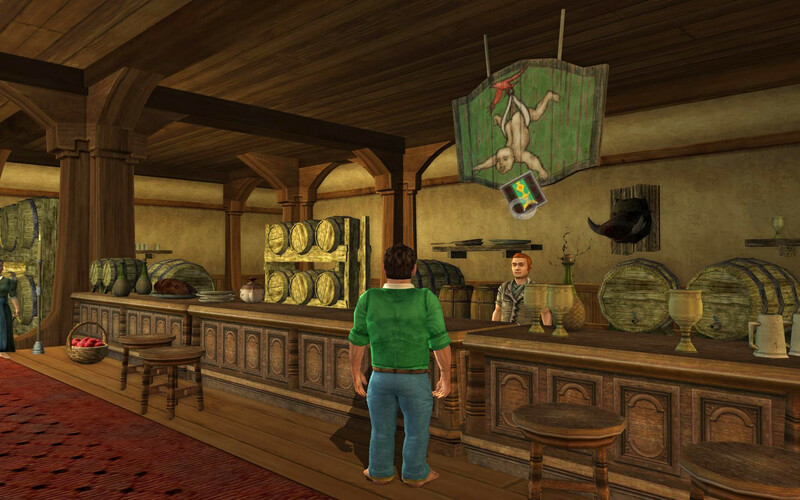 Pick it up and head back to The Green Dragon! Note: if you haven’t done the Overhill to Bywater Quick Post route, you may as well do that now as you have to go back to Bywater anyway. Hope you’re ready for a Pun-tastic quest? 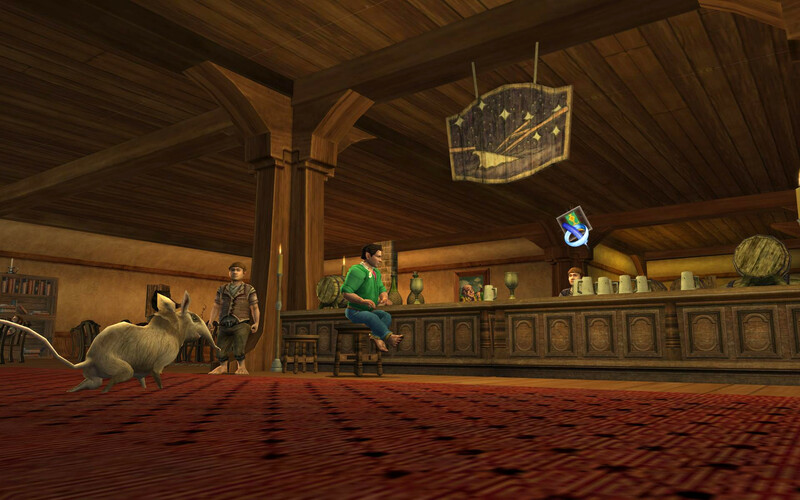 The Floating Log make their best brews from, wait for it, “Frog Hops”. 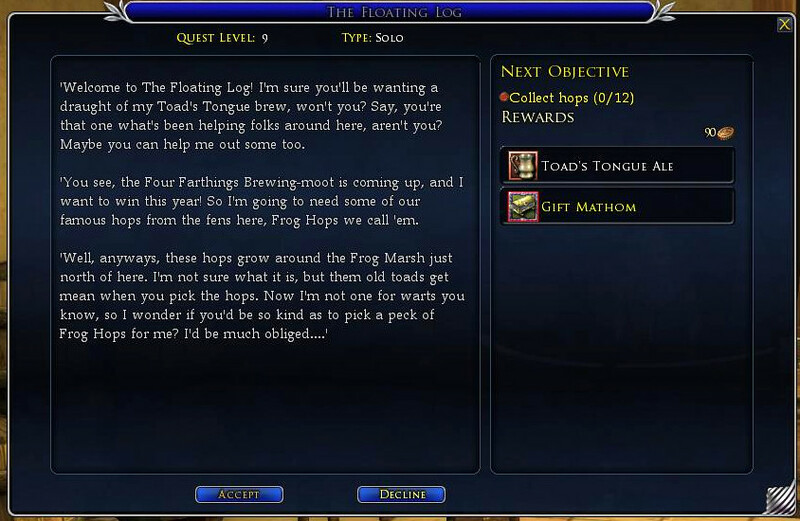 And as the queue at the Floating Log is so immense, you can get a free jug of his best for going and collecting some frog hops from the marshes behind the Inn. 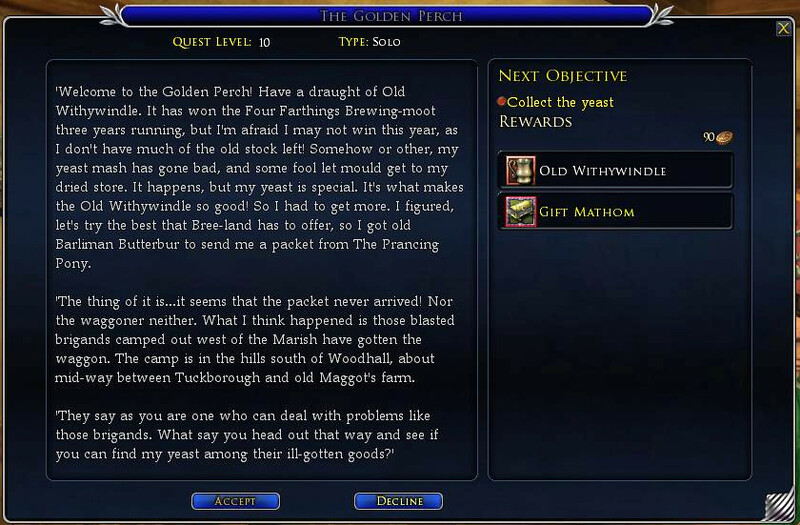 So you’ve trekked across the Shire and finally arrive at The Golden Perch in Stock. No one said becoming a Shire Brewmaster was going to be quick! Also wanting to win the Brewing Contest, the Bartender here needs his yeast retrieving. It’s been taken by some Brigands in Green Hill Country. That also means if you still need the Slay Many Brigands Deed, you can whack a few in this area while retrieving beer-making supplies! The Plough and Stars needs powdered gypsum from Scary. Their usual delivery hasn’t arrived. So time to get on that horse or goat and head back to Scary! The Woolly-foot Stout awaits! Once you arrive in Scary it seems the reason the gypsum wasn’t delivered is that the delivery cart was attacked by goblins. To get the gypsum you’ll have to locate the cart in goblin territory. (If you still need to Slay Many Goblins, you can remedy that here!). You’ll need to head to the Eastern goblin camp (Scragdells) in Greenfields. This deed is fairly quick to complete if you focus on it and don’t get distracted. Each Inn has a story behind why they can’t produce their best ale. And you get a free beer each time as well! 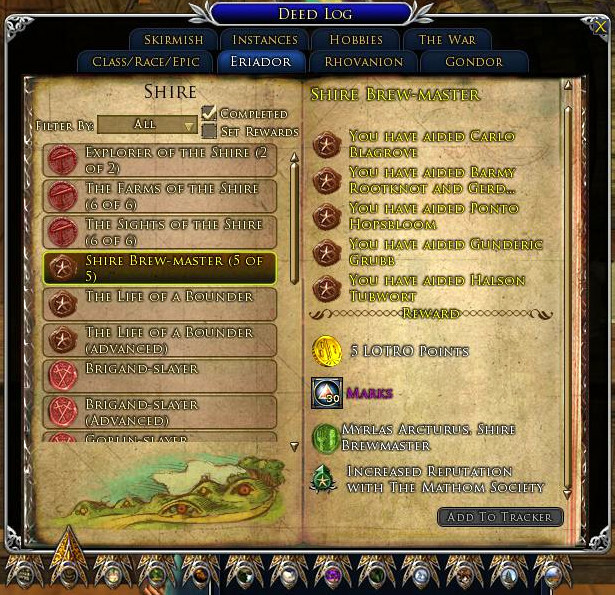 You will need to complete the LOTRO Shire Brewmaster Deed in order to fully complete Deeds of the Shire. 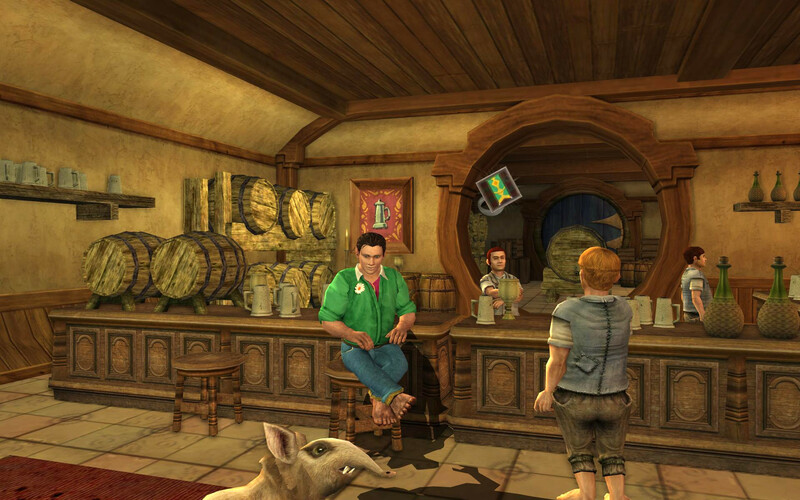 So go ahead and enjoy your Middle-Earth pub crawl! 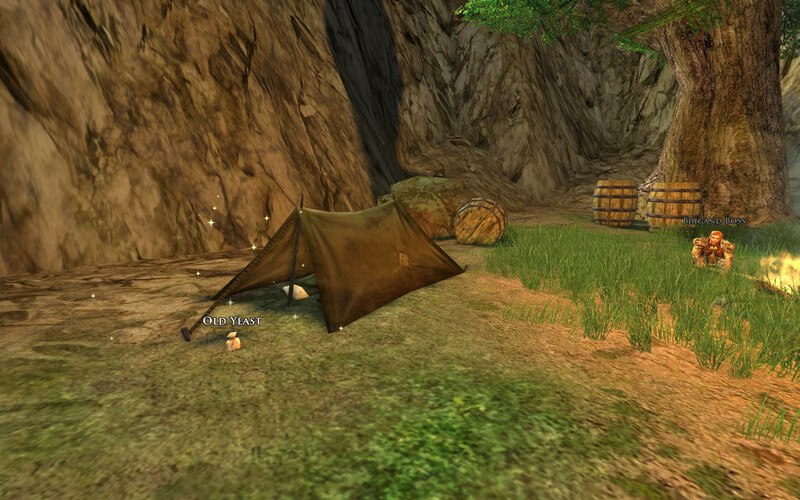 LOTRO Anniversary 2019 Event – Guide to Quests, Mounts and Rewards for the 12th Anniversary! Credit-Selling Mail Spam in SWTOR – What Should Be Done About It?